Provide comfort for the family of Ann Lee with a meaningful gesture of sympathy. Ann Lee, of Coupeville, WA, passed away peacefully on Saturday, January 26, 2019. Ann was a kind, gentle woman, a believer in Jesus, and was beloved as a sweetheart, wife, mother and friend. She truly loved all of God’s little creatures. Ann was born in San Francisco, California, on May 16, 1931, and shortly after birth, was adopted by Thomas and Daisy Reynolds along with her twin brother Bob. That couple later divorced though she and another adopted brother, Edward, remained with Daisy. Daisy later married Tim Whelan, a career Navy officer. The family moved frequently, particularly during World War II, and lived on several naval air stations where Tim was the commanding officer. After the war, he retired and they moved back to La Cañada, California. Ann was a popular, athletic girl who after attending some college, went to work as a teletype operator at the nearby California Institute of Technology, Jet Propulsion Laboratory in Pasadena. There she met her lifelong husband, Army Lieutenant, Donald Lee. They enjoyed an exciting courtship that began with a date at the local golf driving range, and within a year, ended in a marriage that lasted 64 years. They had two sons, Howard and Steven. After leaving the military, Don continued to work at JPL for an additional ten years, after which they moved to Princeton University, and later back to California and the TRW Space and Technology Company in Redondo Beach. The family lived in nearby Palos Verdes for the next 25 years. Ann was a wonderful, supportive wife and mother who guided her family as a strong, baptized believer in Jesus. She was a helpmate to Don, managing the household, raising the boys, over seeing their schooling, and assisting in the many projects around the home. She was continually involved supporting her sons in their Boy Scout and Little League activities, and at their school. During this time, Ann became quite involved in En Agape, a local women’s Bible Study, and through that involvement she helped guide each member of the family into a personal relationship with Jesus. She sponsored a bible study in her home for many years and she later became the office assistant for the American Christian Trust, a ministry that grew out of the En Agape study. In 1988 Don retired and they purchased a piece of land on Whidbey Island and built their dream house on Race Lagoon. Ann loved decorating the new home, helping with the yard work, and playing golf with Don. She served with Don on the Board of Island Ministries, supported missionaries, and helped refurbish the church building which is now the home of Calvary Chapel Oak Harbor. She also served as a counselor for many years at the Pregnancy Care Clinic in Oak Harbor. 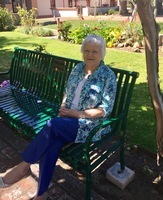 She spent a great many hours at Meerkerk Gardens serving as a greeter and helper during special events, and she led hospitality for the local chapter of the American Rhododendron Society. Ann was known to everyone as a caring, upbeat, supportive person, always ready to help – a truly sweet spirit. She is survived by her husband Don, her brother Ed, her two sons and their spouses Howard and Maureen, and Steve and Christy, as well as her grandchildren Jessica, Joshua and Brian. She is preceded in death by her twin brother Robert and her granddaughter Melanie. A funeral service celebrating her life will be conducted at 11:00 AM, Saturday, February 2nd at Calvary Chapel Oak Harbor, followed by a luncheon reception. There will be a visitation from 3:00 to 6:00 PM on Friday, February 1st at the Wallin Funeral Home in Oak Harbor. Memorial donations may be made to Calvary Chapel Oak Harbor (1560 SE 9th Ave, Oak Harbor, WA 98277) and Meerkerk Gardens (PO Box 154, Greenbank, WA, 98253). 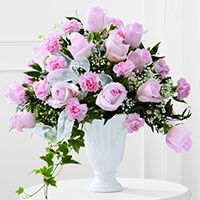 To send flowers in memory of Ann Lee, please visit our Heartfelt Sympathies Store. Evan, Stacia, Kristen and Nicholas Harrje sent flowers to the family of Ann Lee. Ann will always be in our hearts and memories. With deepest sympathy. Evan, Stacia, Kristen and Nicholas Harrje purchased the The FTD Deepest Sympathy Arrangement for the family of Ann Lee. My condolences to the Lee families. I'm sorry to hear about the loss of dear Ann. Some Bible scriptures that have helped me during times of loss include Isaiah 26:19 and Psalm 37:28,29 which states in part: "Your dead ones will live...They will rise up". And the Bible also says "The righteous themselves will possess the earth and they will forever reside upon it". Therefore the Bible promises that we may be reunited with our loved ones lost in death by means of an earthly resurrection. This is further confirmed by John 26:19 which says "Do not marvel at this, because the hour is coming in which all those in the memorial tombs will hear his voice and come out". This is possible thanks to Jesus Christ's ransom sacrifice. Thus we have a genuine hope of everlasting life in a world without wickedness or suffering. My condolences to the family. Continue to let your fond memories of Ann warm your hearts. Always remember that God cares for you and is “close to the broken-hearted”. May you call on Him in prayer for comfort and strength during this difficult time. Psalm 34: 18.